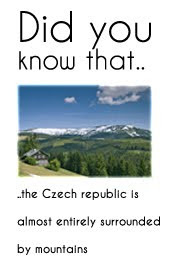 Do you know how to make plural in Czech language? If not, you are in the right place! Plural is in Czech language much more complex than English. In English, you just need to put letter "s", but in Czech it is a bit complex. Learning Czech plural is very important because you will need to use them every day and in every conversation. As you know, cat is kočka. And two cats are dvě kočky. Now you can see that you just need to delete the last letter and put there "y". But what about house - houses / dům - domy? Please help keep this blog alive!